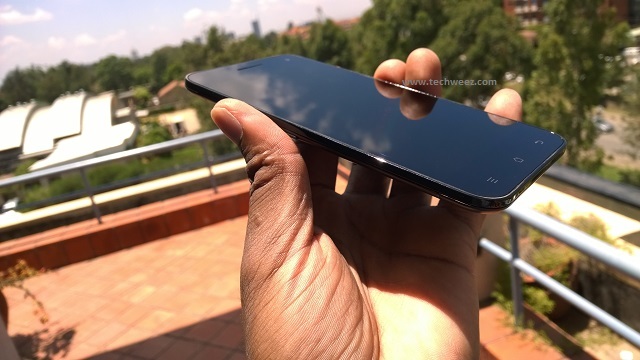 Infinix launched their most premium smartphone yet in Kenya, the Alpha Marvel X502 some three weeks ago and this market a turn in the way we look at new entrants to the smartphone segment of the mobile industry. At least locally. Barely known in this side of the world, Infinix launched with a well designed device that had most of the things going for it. They are going for the jugular of the big and traditional players in the region. Something that may not be out there is the fact that Infinix has been in the market and is one of the mobile phone pioneers at the start of the century. Yes, Infinix was previously known as Sagem, a brand that disappeared in the face of the earth when they spun off the communications and mobile telephony business known as Sagem Mobile to “focus on core company values”. Now the guys behind Sagem are heading the design department in France, while the rest of hardware is done in China. Infinix as a company is headquartered in Hong Kong. Now back to the device preview, that was a necessary backgrounder. Infinix Alpha Marvel X502 launched in Kenya after successful launches in North Africa, parts of Europe and West Africa. The selling point which is also amplified in the text on the back of the phone is design. The device looks swanky and you can tell the work put in terms of design is commendable. This is one phone you would feel quite okay to walk in with to meetings and place on top of the table as from the onset it looks and feels premium. The Alpha Marvel Packaging also does look premium, just as black as the phone and you get quite many extras in terms of accessories. Outside the box we have a “smart case” that has nothing smart going for it. I assume this is because it’s a case for a smartphone. This is a flip case that has a stick on back that you peel off to stick to the phone effectively making it like a wallet, complete with the magnetic snap on on the sides. I am more of a back cover person so you won’t see me using this one. On the contrary I see quite many people using this kind of cases so there is a market to address here. Again this is optional, the phone is the business. Now out of the box, we get a screen protector, power adapter, micro USB cable, earphones, SIM tray pin and an extra set of replacement earpods. The design even on the accessories is quite good, the power adapter looks sleek while both the micro USB cable and earphones are made to never tangle, a user’s nightmare. Warranty card is an actual card with ATM material that you sign at the back. This is what you carry when going in for warranty service. The rear does look good too save for the very prominent white text at the lower back. We have the prominent Infinix logo and the curves. most of the back is metal while the top and bottom segments that harbour the camera and speaker are plastic. The back is unremovable, though there aren’t any screws, just a matter of time before a tinkerer finds out the way to access and remove the battery. The speaker is spread out on the bottom part while the camera pops out at the bottom top. On the left we have all the buttons, the power and volume rocker which could effectively be the first design error I have noticed. when one is right handed you know you are used to controlling these with the thumb on the right of the phone. These are on the left and you have to train the middle and ring fingers to operate. SIM tray is alone on the right while the top has both the micro-USB slot and the 3.5 mm jack slot for sound out. It does have the noise cancelling hole at the back right next to the camera so you will be sure the calls will not be recording traffic alerts for your area. The camera does seem to pop out high, though when you lay it on the back it’s not noticeable at all. Another downside here is the fact that the Alpha Marvel X502 uses mini-SIM, so you who have already moved to micro-SIM will be opting to either look for SIM card adapters or replace your SIM card with a mini-SIM (which I haven’t used in a long while). The front which is all glass has capacitive touch controls for home, back and menu keys. The only perforation on the glass is the earpiece which is flanked on the right by the 5 MP front camera (this rivals Huawei Ascend P6 which was first to come with 5MP camera). The sensors are there but you can’t see them. All in all, it’s a good looking smartphone which has most of the things working for it and for the price it’s launched at (Kshs 30,000) I believe it’s value for money, if only they would have dropped mini SIM support for micro-SIM this is a looker. Why don’t we meet in a few days when I have taken it through extensive work and play and we can talk about the full review of the device. Before then, if you need to know anything or have sentiments to put across, please sound us off in the comments below. Well, if by menu you mean app drawer, no. It doesn’t have one. When you install an app it is automatically displayed on one of the homescreens, and you can choose how to arrange the app icons on the home screens. As for the question about Dual-SIM, no. It also doesn’t have Dual-SIM, at least the one that sells via Safaricom. Yes it does, you get the case free when you buy the phone as a separate accessory. Sorry! I might be wrong on this. I got this device as a review unit from the company, not a purchase. This was separate box. I love the slim design! Looking forward to find out what it runs and how it runs!! What puzzles me is that power adapter, why two pin??? but i guess that is a small detail anyway…. Two pin is adapter design for many countries of Europe, guess they didn’t realize that the minority design that is UK power adapter is what we use here.